Bill O’Reilly’s book, Killing Jesus, is a must read by all serious Christians. 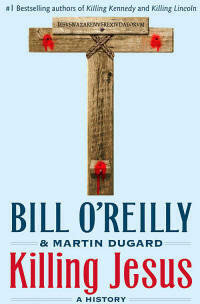 What can O’Reilly (and his co-author, Martin Dugard) tell you about Jesus that you did not know? It describes the existing culture and profiles his enemies. Jesus replies, “Didn’t you know I had to be in my father’s house?” If the Temple rabbis overheard that comment, they don’t let on. “If the boy is inferring that God is his actual father. then it is tantamount to blasphemy, being a claim to divinity,” writes O’Reilly. His miracles – the healing of lepers, the feeding of the 5,000 - quickly gain followers. His powerful preaching, such as his Sermon on the Mount – dazzle audiences. That also earns enemies among religious leaders, the Pharisees and especially the Temple high priest, Caiaphas. Lacking his skill as a preacher and unable to perform miracles, they view Jesus as a threat to their power. “Jesus has become a victim of his own celebrity, and with every passing day, his life is more and more in danger. Many Galileans believe Jesus is the Christ – the anointed earthly king who will overthrow the Romans and rule his people as the king of the Jews, as David did a thousand years ago,” O’Reilly writes. That makes him a threat to the Romans. However, Jesus is careful never to suggest that the people of Galilee rise up against Rome. The Pharisees can’t simply kill him, but must find him guilty of violating religious law. That’s why a team of them follow him around to try to trap him. However, they’ve never encountered such a spiritual and intellectual rival who regularly outwits them. Jesus skillfully undermines their authority. “If allowed to flourish, his movement will destroy their way of life, stripping them of wealth and privilege,” the book asserts. O’Reilly and Dugard are Catholics who should know that without the Resurrection, Jesus was not the Messiah. Nevertheless, the book superbly explains why he was killed.